1950 - 1958 Dr. Kurt Adenauer, IFM Trustee of F.R.G. When Hugo Junkers founded the Junkers Motorenwerke GmbH in 1923, this new company incorporated all fields of engine activities ranging from stationary heavy oil engines via mobile car engines to aircraft engines. From that point of view, it was sensefull to seperate the aircraft and the engine branch in own companies.  On the other hand the individual riscs of each branch were isoloated in the corresponding companies, i.e. to prevent the aircraft branch from the financial riscs of the engine branch. During the restructuring of the Junkers consortium of 1932 all stationary and non-aircraft related products of the engine company were outsourced into new companies, i.e. the Jukra Chemnitz. Since then the remaining Junkers Motorenwerke were just aircraft engine oriented. Therefore it was consequent to integrate both branches into one company, when the Nazi Government took over control at Junkers. On 5th July 1936 the Junkers Flugzeugwerke A.G. and the Junkers Motorenwerke GmbH were integrated into the Junkers Flugzeug- und Motorenwerke A.G.. The massive support of this production network did not leave much time for the developement of new aircraft or engine designs at Junkers Flugzeug- und Motorenwerke A.G. Following the initial Nazi developement order for the Ju86, Ju87, Ju88 and Ju89/90, of which the final Ju90 performed its first flight in August 1937, just the high altitude experimental Junkers EF61 went under developement in 1936/37. It took nearly four years until November 1940 that a new Junkers aircraft type performed its maiden flight, when the Junkers Ju288 flew first. Junkers Flugzeug- und Motorenwerke had changed its face during the second half of the thirties from a developement center to a production center. That might be one reason, why the new Junkers designs of the fourties were more or less successless or showed a high number of design problems, like the four year developement period of the Ju288 or the highly instable Junkers Ju322 sailplane transporter. Simply the developement experience had been lost at the beginning fourties. Since 1942 Junkers concentrated on the further development of its existing aircraft designs. Here Junkers was more successfull. The close connection between the manufacturing workshops and the operator, which was realized with spreading numbers of repair shops, supported Junkers Flugzeugwerke with the necessary informations about technical and operational problems from the daily utilization of their aircraft. These informations were used by the development offices and incorporated into redesigns of the existing aircraft types. The Junkers Ju88 was successfully further developed into the Ju188 and Ju388. The Junkers Ju90 was transfered into the more capabale Ju290 and Ju390 and the Ju52 was further developed into the Ju252 and Ju352. In 1944 Junkers started a first really new aircraft design with the jet bomber Junkers Ju287 and the EF131. At that time a new design team had been established around Brunolf Baade and Hans Wocke. Both performed a lot of experimental research work at the windchannel and on test aircraft to gain experiences in the field of jet aircraft designs. By Autumn 1944 the RLM stopped all bomber activities in advance of the fighter aircraft campaign. Even the Ju287 activities had to be reduced at Junkers. To use the gained design capacity in Dessau, the RLM decided to transfer several designs from other manufacturers to the Junkers design office. From Messerschmitt the Me263 design was transfered to Junkers. Here it was continued as the Junkers Ju248 of which even two prototypes were completed before the project was returned to Messerschmitt in 1945. From Dornier a long range surveyer aircraft design based on the Dornier Do335 was transfered to Junkers design office for validation and calculation in 1945. Junkers performed this work under its own designator Junkers Ju635. With the foundation of Junkers Flugzeug- und Motorenwerke A.G. the new company concentrated on the Jumo 210 and Jumo 211 engines for the Messerschmitt Me 109 and the Junkers Ju88 as its production backbone and the Jumo 205 diesel engines for the Ju86 and Dornier flying boats. Between 1937 and 1939 only little improvements were made on these existing engines. Like on the airframe side there were no activities for new engine designs during these years. In 1939 it became obvious that the existing engine designs were not suitable enough for the upcoming war action and the new aircraft designs like the Junkers Ju288. The development of a completely new high performance engine for the new Ju288 started with significant problems. The operational experiences from the Junkers Ju86 called for massive review of the Junkers Diesel engine design. Finally Junkers had to head for the new jet technology, which was just introduced by the world's first Heinkel jet. To address all this problems the Otto Mader Werke were outsourced from the Junkers Flugzeug- und Motorenwerke A.G. Under the management of Otto Mader the complete engine design capacity of Junkers were integrated into this engine developement center since 1939, performing the Diesel engine redesign, the Jumo 004 jet engine development and the Jumo 222 for the Ju288. Since 1943 the Otto Mader Werke also supplied a new engine type Jumo 213 as successor of the 10 year old Jumo 210 and 211. And even at the end of WWII several design studies for a new turboprop engine Jumo 012 and a turbojet engine Jumo 022 were on its way. Therefore the engine developement was more successfull than the airframe development since the settlement of Junkers Flugzeug- und Motorenwerke A.G. At least the foundation of an own development organisation as the Otto Mader Werke has supported this success. However, just the Jumo 213 and the Jumo 004 were brought to serial production even in this area. Since 1943 the German war industry got under bombardment of the Allied bomber forces. In 1944 also the center parts of Germany, where most of the Junkers facilities were located, were in the range of heavy bomber fleets. On 30th May 1944 the Dessau plants of the Junkers Flugzeug- and Motorenwerke A.G. were hit and most parts of it were destroyed during this raid. Bernburg was already slowed down by an air raid in February 1944 for four month. In July and August 1944 the Koethen engine facilities were heavily damaged by air raids. At that time Junkers aircraft had an important role in the Reich's home defense with the Junkers Ju88 night fighters. The production of these critical fighter unit was heavily influenced by the bombings of the RAF and the USAF. Therefore Junkers Flugzeugwerke were planning the transfer of its facilities into underground facilities. The Aschersleben facility was planned for moving into the nearby Kali Saltmine Zornitz as well as to a pit at Gross-Schierstedt with a total of 26.000 sqm. The Otto Mader Werke were also planned to be transfered here from Dessau. The Saltmines at Bernburg were used by the Bernburg and Dessau plants as metal workshops. At Chemnitz the Herold Mines were used for Jumo 213 and Jumo 004 production. Magdeburg was transfered into Pit No. IV at Egeln. The largest underground facility was planned at Hadmersleben in ex Kali Mine, where Schoenebeck should be transfered, but the facilities were not finished until May 1945. Halberstadt used some caves in the city for their alternate location. Also the mostly known underground facility at Nordhausen reserved space for the Jumo 004 engine production from Leipzig, Koethen and Magdeburg and at Ploemitz the Solvay Werke AG with two Salt Mines of 25000 sqm were used for the Ju88 airframe production since August 1944. Since September 1944 also a natural cave system at Rottleberode was used by Thyrawerke AG and houses also the Jumo 004 production and the undercarriage production of the Ju88 at the Heimkehle caves. Stassfurt/Leopoldshall went into the nearby Kaliwerk Loederburg and to the Mine Ludwig II with their Ju88 tail production. Several other locations were under planning during 1944. However only a few underground production lines really began their production. Most underground facilities were still under preparation in April 1945, when the Allies reached central Germany. Post War Years of Junkers Flugzeug- und Motorenwerke A.G.
During the final days of April 1944 most Junkers facilities were occupied by U.S. forces. Before they handed over the Thuringia and Saxon-Anhalt areas to the Soviet forces, a lot of documents, materials and people were removed from the Junkers facilities and taken to the U.S. Sectors of Germany. On 1st July 1945 the Soviets took over control at the Junkers facilities in Central Germany. Just the Kassel plant remained as the sole Junkers facility under U.S. control. The Soviets established a Military Commission at Dessau for the Junkers Flugzeug- und Motorenwerke A.G. on 5th July 1945, which started the reconstruction of the facilities at Dessau. In September 1945 the Junkers Flugzeug- und Motorenwerke A.G. was transfered into a Soviet Shareholder Company (SAG). Several projects were continued under Soviet control by Brunolf Baade, who took over the management of the Dessau facilities. The Junkers EF126 performed its first flight during Summer 1946 and the further development of the Junkers Ju287 was on its way as well. But on 22nd October 1946 all activities at Dessau were stopped and all staff, prototypes and tools were shipped to Russia, where an airframe facility was established at Podberesje and an engine facility was built at Uprawlentscheski Gorodok. The other Junkers facilities in Central Germany were demontaged as well and shipped to Russia. 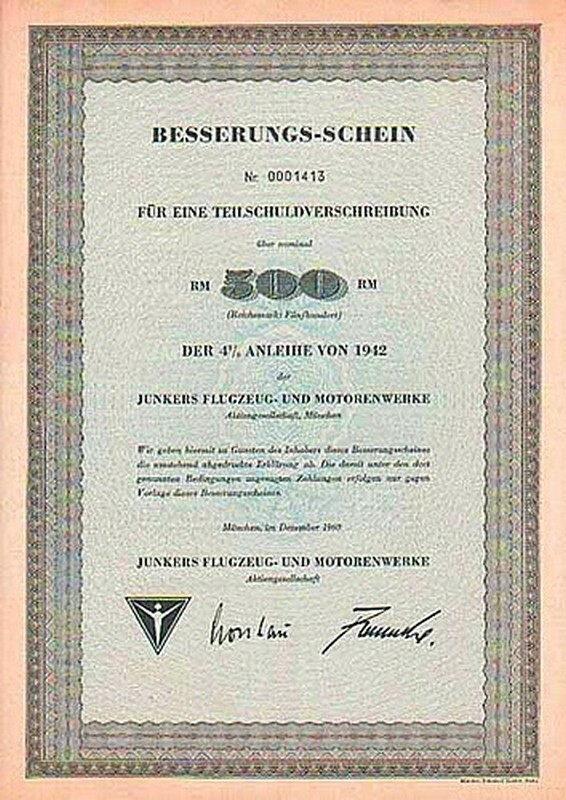 Therefore the physical end of the Junkers Flugzeug- und Motorenwerke A.G. can be dated in November 1946. Most engineers returned from Russia in 1953. At that time, the G.D.R. Government supported activities in Dessau for the reestablishment of the former Junkers Flugzeug- und Motorenwerke A.G. In May 1953 the construction of a new aircraft facility began at the formder Junkers areal. At Keothen a special training center for aircraft mechanics was built up. The financial budget for the Dessau plant development just in 1953 saw 179 Mill. Mark. However, the tumults of 17th June 1953 in the G.D.R. stopped all aviation activities in the G.D.R. on 24th June 1953. In December 1954 the Polit office of the G.D.R. again decided to restart a German aviation industry built up in the Eastern parts of Germany. However, this time Dresden was favorized as the new devleopment center. The JFM A.G. facilities at Dessau remained destroyed. While the Soviets simply liquidated and transfered the facilities on their territory to Russia, the U.S. forces also took over control at the Kassel branch as well as upon the financial accounts of Junkers Flugzeug- und Motorenwerke A.G. in West Germany. After the foundation of the F.R.G. the control was handed over to the German States in 1949, which were legally the successor of the German Reich, the previous owner of Junkers Flugzeug- und Motorenwerke A.G. As a matter of fact, the JFM A.G. parts in West Germany just consisted of the Kassel plant plus some smaller facilities, the JFM license rights and the bank accounts at West Germany's banks. In February 1950 the country of Hessen sold the former Kassel plant to A.E.G. Five years later in January 1956 a plan was made to reprivatize Junkers Flugzeug- und Motorenwerke A.G. The Junkers family was interested in buying parts of the company, however it was decided by the German Government, that the Junkers family should not be accepted as potential buyer. The value of Junkers Flugzeug- und Motorenwerke A.G. was calculated with 6.3 Million Deutsch Marks in 1956. 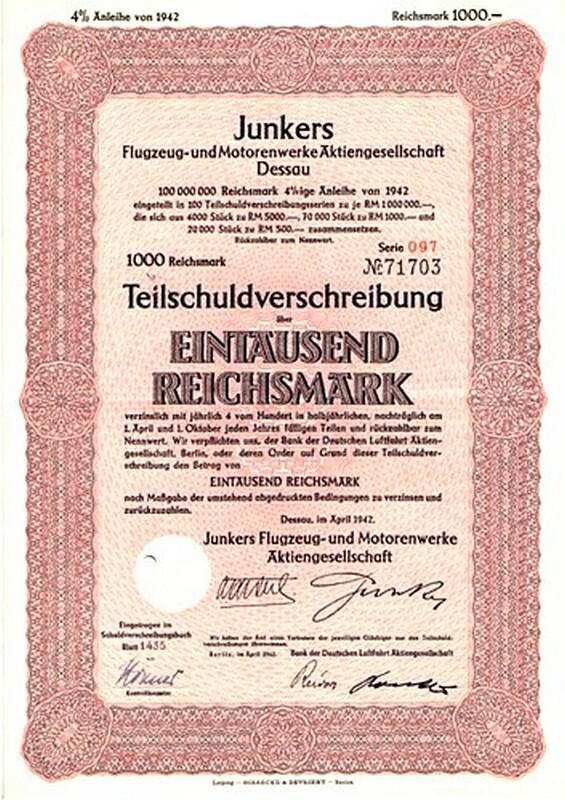 Discussion with several German and International companies were held about the buyout of the Junkers Flugzeug- und Motorenwerke A.G. during 1957 and 1958. The most powerfull bids came from Liebherr at Biberach, but finally the JFM A.G. was sold to the Flugzeug-Union-Sued, a joint venture of Heinkel and Messerschmitt in the postwar Germany on 25th February 1958. F.U.S. was mostly interested in the engine facilities of JFM A.G. Therefore all restructurings of JFM refer to the aircraft branches. On 15th December 1958 the restructuring programme, which mostly headed for the sale of Junkers properties in the Western parts of Germany, was finished. On the same day the companies main seat was transfered from Dessau to Munich. Between 1958 and 1960 the Junkers Flugzeug- und Motorenwerke A.G. at Munich were engaged in research and developement of aircraft engines. However, there was little effort due to money and qualification shortages. In 1960 Messerschmitt handed over the modification programme of the Fouga-Magister and the Starfighter for the Bundesluftwaffe to JFM. In December 1964 Prof. Saenger joint JFM and the space rocket programme Junkers RT8 was launched. On 22nd February 1965 Messerschmitt A.G. took over all shares of the Junkers Flugzeug- und Motorenwerke A.G. 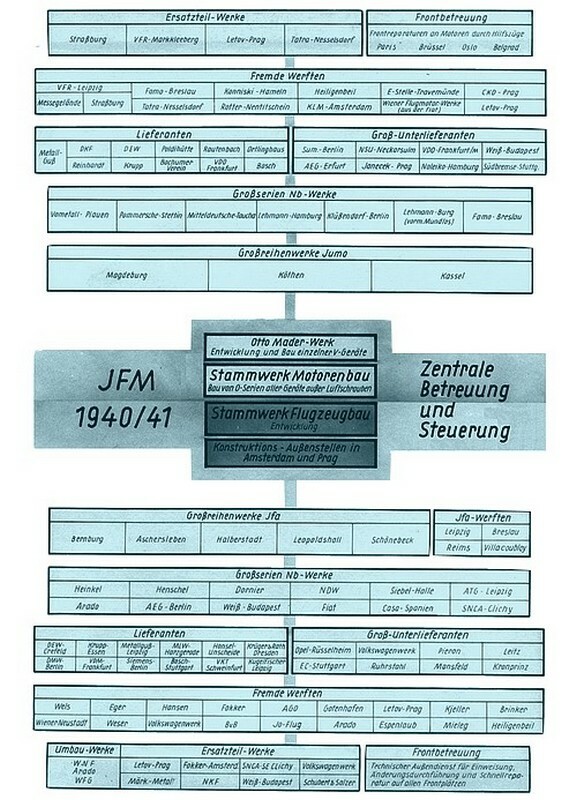 The JFM A.G. was completely absorbed into Messerschmitt A.G. in 1967 and was offically dissolved. However, the JFM GmbH which was a subsidary of JFM A.G. still existed after the mother company was dissolved. Demontage und Konversion - restart of aviation activities in G.D.R.